The Church of Jesus Christ of Latter-day Saints has implemented new security measure for its fall General Conference. The fall sessions of General Conference are scheduled Saturday and Sunday, Oct. 6 and 7, at the 20,000-seat Conference Center in downtown Salt Lake City. Sessions are planned for 10 a.m., 2 p.m. and 6 p.m. on Oct. 6 and 10 a.m. and 2 p.m. on Oct. 7. 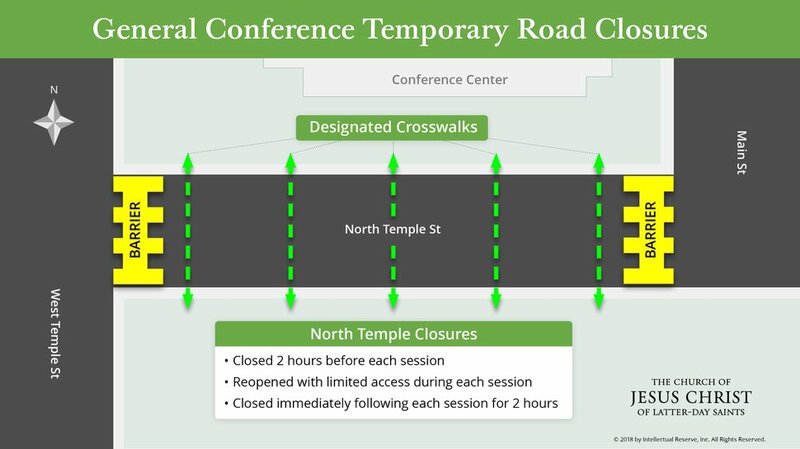 Temporary road closures that will take place during General Conference of The Church of Jesus Christ of Latter-day Saints. • The Conference Center will be closed starting Monday, Oct. 1, before conference weekend. • North Temple will be closed temporarily between West Temple and Main Street two hours before and immediately after each session, allowing pedestrians to cross the street in crosswalks and other designated locations within the closed area. • North Temple will reopen with limited access during each session and each day approximately two hours after conference sessions end. • Attendees can bring clear water bottles. Metal containers are not permitted inside the center. 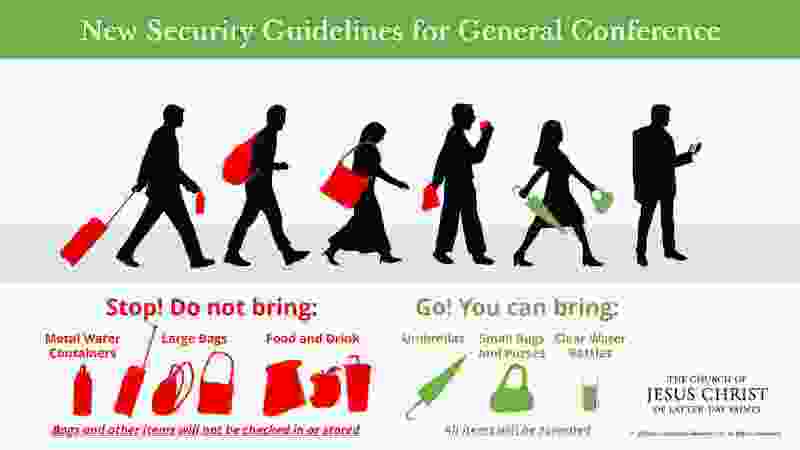 • Conferencegoers may bring small bags and umbrellas inside the building, but large bags are not permitted. • Personal items such as large purses, backpacks, shopping bags, suitcases and food items will no longer be stored on church property. ‘Mormon Land’: What big news will happen at General Conference? We check out the rumor mill, which is working overtime. • People are encouraged to walk through Temple Square and the Main Street Plaza to get to the Conference Center. • Conferencegoers are encouraged to arrive early to provide adequate time to attend the event. Security will no longer store items for visitors.